In January 2017, Iain from Skipedia went out to Tignes to report on the inaugural ‘Indoor Sprint and Jump’. 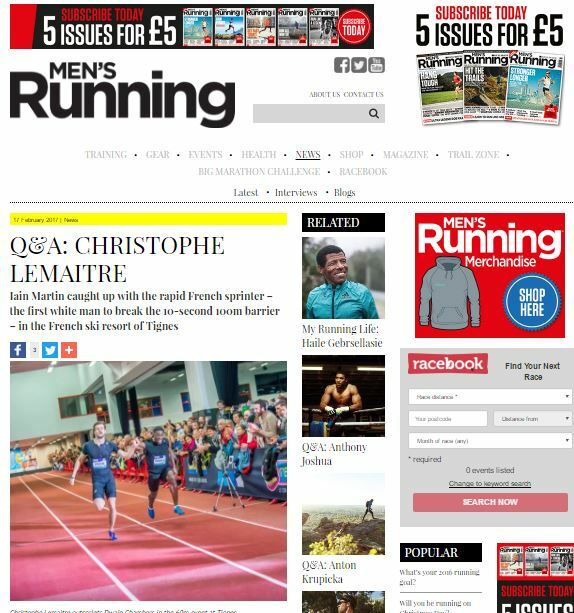 Iain’s interview with Christophe Lemaitre was published this week on the ‘Men’s Running’ magazine website. 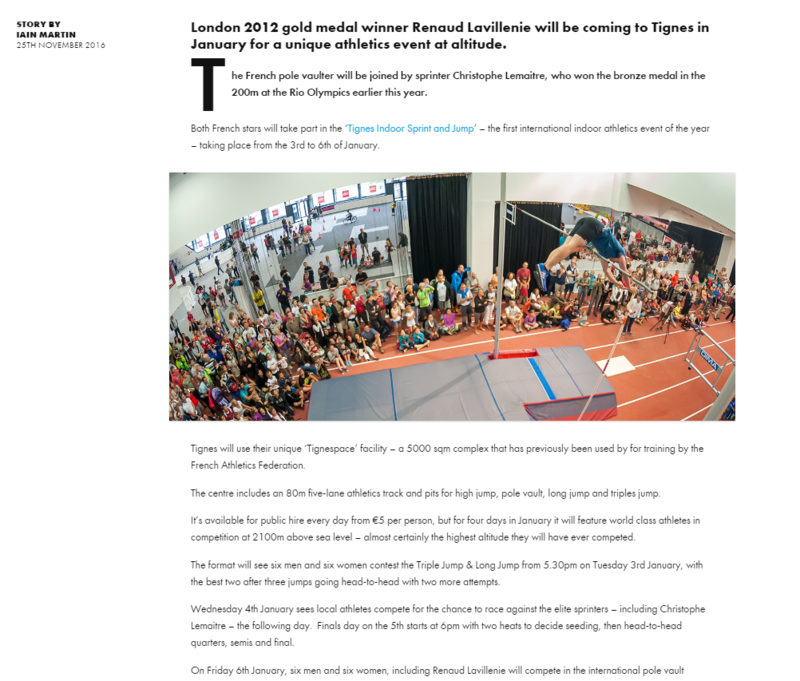 You can read the full article here.